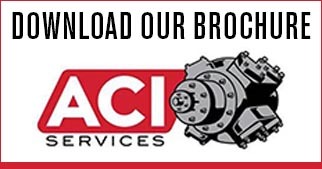 Valve-in-Head Compressor Cylinder Replacement - ACI Services, Inc.
Reciprocating compressors are the heart and soul of production in the gas industry. Continued operation of this compressor over time is critical because so many other elements of the industry – from the refineries and production plants to the gas pipeline transmission operations – depend on them. While compressors are true workhorses, many variables combine to determine their reliability, lifespan and lifetime costs. The initial design of the compressor, its operating conditions, the regularity and timing of preventative maintenance and changes in regulations all factor into the lifespan and ROI calculations for a compressor. Cylinder design has evolved, largely to address the design limitations of early production cylinders. Older designs, including valve-in-head cylinders, cannot accommodate regulatory changes, such as the move away from asbestos gaskets. Older valve-in-head designs require precision torquing to provide adequate sealing force on the gaskets. Because these older cylinder designs don’t work well with substitute gaskets, they tend to leak. Leaks reduce the compressor’s maximum allowable working pressure (MAWP), which reduces the productive capacity of the compressor, and can create potentially hazardous conditions in the working environment. The best strategy to address the shortcomings of the older cylinder designs is to modernize the cylinder design! ACI Services offers custom cylinder design services that will enable you to replace the cylinder head with a more modern, efficient and maintenance-friendly cylinder design. We can design a valve-in-barrel cylinder as a drop-in replacement for an older valve-in-head design. Our drop-in replacement means that it uses the original mounting, flange and support specifications. In addition, our designs can often incorporate existing valves, unloaders, rod packing and other components. This approach reduces the time required to perform the upgrade, and eliminates the need for re-engineering or retrofitting other design elements of the compressor system. Better still, newer designs improve the performance of the compressor systems by eliminating those elements of the older design that are prone to failure, or that require precision maintenance to achieve acceptable performance. A new, reliable cylinder design also eliminates the leaks that compromise safety in the working environment. While old cylinder designs required compressor manufacturers to reduce the MAWP, ACI Services valve-in-barrel design can often allow the compressor to achieve a higher MAWP. A higher MAWP means that plants can recapture performance that may have been lost or sacrificed to accommodate the old equipment’s design limitations. With the wide-spread use of high-speed separable reciprocating compressors throughout the oil and natural gas industry, the GMRC has been active in developing better guidelines and practices for the specification, design and application of this type of compression equipment. Two documents were developed in previous multi-year projects. With historic Bedford, Pennsylvania as the backdrop, team members from ACI and Hi-Tech recently met to present new capabilities, processes and products. This event is part of an ongoing, larger focus on our strategic partners as part of ACI's sales plan.